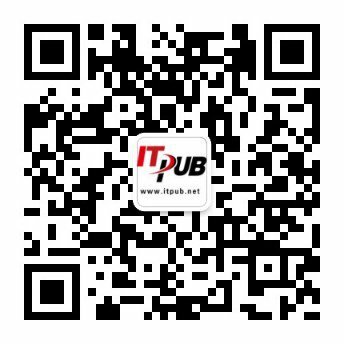 此 命令可以检查整个软件包或通过指定-p选项对一特殊路径名进行检查，无输出则意味 着没有问题被检查出.由于/etc/group 文件大小已被改变，所以文件内容的checksum就不对.考察软件包信息pkgadd命令更新文件/var/sadm/install /contents、 此文件为系统中所有已安装软件包的记录文件.没有简单的方法来确定某软件包具有某一特殊文件（或命令）.对于已安装的软件包，从/var/sadm /install/contents 记录文件中查找此软件包的路径 名. 在调用pkgrm 命令后，将向你警告有依赖关系的软件包信息，并提供放弃此操作的提示.当软件包被成功地删除后，向root发送一个邮件.pkgrm命令通过文件/var /sadm/install/contents 来确定软件包的地址，并且当软件包被删除以后，更新此文件.假如此软件包被两个或更多的包共享，则一定得将这些依赖于此包的所有软件包删除以后才删除此软 件包. (3)一旦看见“Syncing file system ... done”信息，再按下Stop_A. (3) 一旦看见“Syncing file system ... done”信息，再按下Stop_A. A sizeable investment in time and money has been made to provide Unix systems in the Agile ODC offices. This document defines the guidelines that users and administrators of the Unix systems located in the Agile ODC offices are expected to follow. These servers were preconfigured before they were shipped from San Jose to insure that they conform. to the install policies that are in place in San Jose. These policies are designed to ensure that the configuration of all Agile Unix systems remain consistent across all of our offices. This promotes ease of use as well as providing an identical environment at each location. This is important to ensure the portability of our software and the environment that our software is tested in. 1. Users should not change the configuration of the Solaris OS. This means that you should not change the config files in /etc or in any other location on the server. This includes adding new users, mounting NFS partitions, running OS related servers, installing 3rd party software, changing the IP address of the server, changing the permissions of any config file, adding new entries to the hosts files, or any other OS configuration changes. 2. Users should not add any 3rd party software to the Unix systems. This means that you should not install any software that is not part of an Agile product. This includes installing web browsers on any of the available NFS partitions, including your home directory. (Please see the note below about home directories). 3. Users should install Agile related software only in /opt. Users are asked to install Agile software in the /opt filesystem. This keeps all the software in one location. This also means that you should not create (not so) temporary files on the Unix system. The /opt filesystem is available for you to install our software for testing or development. (Please see the note below about home directories). You are expected to install all software that is related to the testing of the Agile software. Internal documentation exists for installing Apache and Apache/SSL. These docs cover the install process of Apache with Weblogic and Apache/SSL with Weblogic. Of course, if you are having problems with an install, help is available. 4. Requests for software installs should be directed to the sysadmin. If you want an additional piece of software installed on the system, please request that the software be installed, rather than trying to install it yourself. This will benefit everyone at Agile as the software will be added to our jumpstart server and distributed to all the Unix hosts for use by all the Agile Unix users. (Please see the note below about web browsers). 5. Users shall not share accounts and passwords. The sharing of Unix accounts and passwords is prohibited at Agile. It is your responsibility to keep your password private and not share it. Since we are using sudo at Agile, your password might provide root access on a given server. Please do not share your Unix account or password with anyone. If an employee needs a Unix account, then we will be happy to give them an account. We have not turned down any new account requests. Please do not share your Unix account or password with anyone. 6. Users should not reboot Unix systems. If you think you need to reboot a Unix system, most likely you probably don't. Unix servers are not windows boxes. It is common to see Unix systems that have been up for three to four months at a time. Generally speaking, problems won't be magically fixed if you reboot (as happens with Windows). This is because there is no Registry in Unix and because user processes typically cannot cause kernel level corruption of the OS. If, after all of this, you still feel you need to reboot the server, you should contact your local system admin and ask them to reboot the server. In case of an after hours emergency reboot, please send email to your local admin before rebooting informing them that you are about to reboot the server. 7. Users should share the Unix systems. The Solaris Unix systems that we have here are multi-user multitasking servers. They are capable of supporting hundreds of concurrent users and thousands of concurrent processes. We will be moving to a model where multiple engineers are sharing the same Unix server. You are expected to share the Unix servers with other people who are testing or installing on the same system as you are. This means that you might have to configure your install to use non-standard ports. The recommended manner of doing this is to install your software in a sub-directory of /opt, such as /opt/yourname. If you need to have multiple copies of a product, perhaps /opt/yourname/inst1 or /opt/yourname-inst1 would be a good alternative. For the port selection, we are going to have to communicate better. Please use either 'lsof -i or 'netstat -a' to look for processes that are "LISTEN'ing" to a particular port. If you want port 7001 and there is a process already there, select 7011 or 7101. It is also recommended that you normally test install with non-default ports. This leaves the default ports available for "stock" install testing. The Agile Unix environment currently supports only Netscape 6.2 for Unix as a Unix web browser. We do not support IE as Microsoft has dropped support for their Unix web browser product. Netscape should be installed on your local Unix servers by your local admin. It should be located in /opt/netscape62. Users should not install the Netscape Unix browser independently on the Unix servers. Please see you local Unix admin if you cannot find Netscape on an Agile ODC Unix server. Your home directories are NFS mounted from your local admin server onto all the local Unix hosts. The purpose of this is to provide disk space for you to keep information that you would like to hold on to. Your home directory is not a place for you to install software that you want to run on the Unix hosts. This includes web browsers, 3rd party software and any Agile software. Please do not install any software on the admin NFS partition that you plan to run a Unix host. The software will run slower from the admin server than from a local server, it will put an increased load on the network and the admin server. In general, it is not a good practice to run programs over NFS when the local server has the disk resources to host the application.